"Did You Remember To Lock Your Door?" In this horror movie, a weekend family get-together is disrupted when the family's home is invaded by a group of homicidal masked intruders. As the blood flows, the strained relationships among the characters come to the fore. One of many films in the once-popular home-invasion subgenre, this one met with mixed reviews. 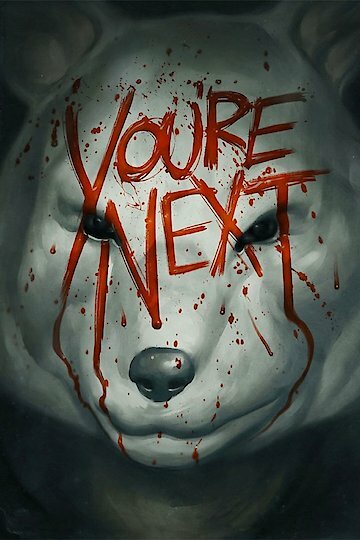 You're Next is currently available to watch free on Vudu Free and stream, download, buy on demand at Amazon, Vudu, Google Play, iTunes, YouTube VOD online.